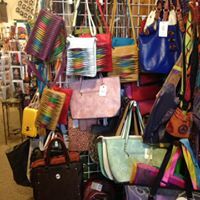 Grab your friends or family and explore Lanesboro, Minnesota for a day of shopping! 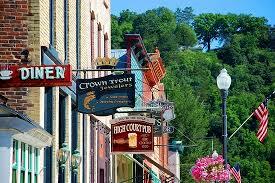 Downtown Lanesboro is a picturesque community in Southeast Minnesota surrounded by limestone bluffs and a meandering river. 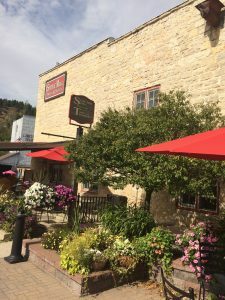 Known for its abundance of outdoor recreation and the Root River Trail, little Lanesboro will come alive with tourists as we move into spring and summer. It’s time to finally enjoy the warmer weather and soak in the change of the season, so get your shopping shoes on! Shopping is a fun experience here and hopefully this will serve as a helpful guide next time you are in town. 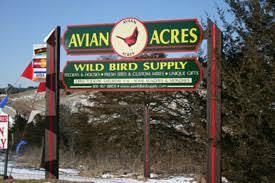 Avian Acres is a wild bird supply store located just outside of town at 32637 Grit Road on a historic Scandinavian farm. They are well known for an outstanding selection of quality birding products, including the freshest seed and custom mixes. Their goal is to share their love for backyard birds and their passion is to serve people by sharing what they have learned about attracting birds from personal experience and experiences from their customers! Plan a visit to Avian Acres and you will experience the serenity of a rural setting while enjoying the antics of colorful songbirds feasting on busy feeders. In the renovated century-old barn you’ll discover a unique general store atmosphere filled with an awesome array of backyard birding products. Call 507-467-2996 for more information! 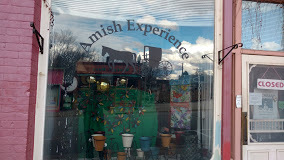 Located in downtown Lanesboro at 105 Parkway Ave N, Amish Experience is open year-round. In this shop you will find books, specialty foods, jewelry and clothing. 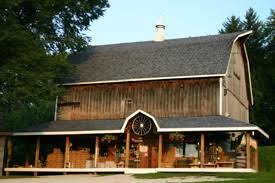 They carry Amish goods as well as toys, knick knacks, candles, lotions and even camping needs. 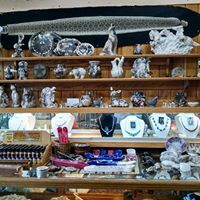 There’s just a little bit of everything so be sure to stop in and browse their collection! Call 507-467-2992 with any questions! Cheryl’s Fabric Garden is located at 108 Coffee St E. Cheryl’s shop is open year-round for you to come in and see her beautiful quilts on display, with many of them for sale. Fabric, thread and notions are available for purchase. 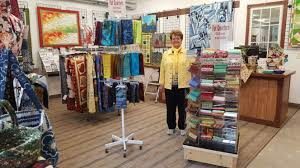 Sewing classes and quilting retreats are available so stop in and see Cheryl or give her a call at 507-467-4466. Be sure to visit her website at www.cherylsfabricgarden.com. 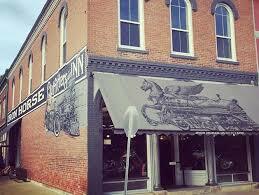 Iron Horse Outfitters & Inn is located at 100 Coffee Street. At this shop you will find travelers gear, hotel rooms, motorcycle accessories and clothing. Check www.ironhorselanesboro.com for more information. Iron Horse Outfitters can be reached at 507-951-2955. Little River General Store is located at 105 Coffee St E. They are a full-service outfitter renting tubes, bikes, kayaks and canoes. 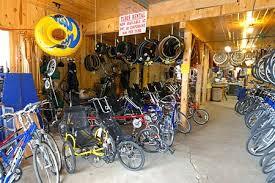 Along with selling camping supplies, bike accessories, bike bags and helmets, Little River General Store sells clothing, bait and much more. Bike shuttle services are available also. This is the place to stop if you have any questions regarding bike repairs as well! Call 507-467-2943 or visit www.lrgeneralstore.com for more information! 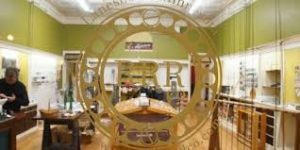 You can find Lanesboro apparel, sandals and many fun things at Emil Farqart’s located at 108 Parkway Avenue N. Known for a “bit of the tropics in Lanesboro,” this gift shop has a variety of merchandise you can purchase and take home to remember your trip in Lanesboro. Call 507-467-2004 for more information! 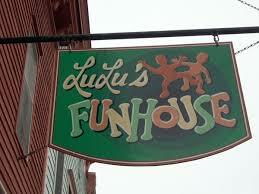 LuLu’s Funhouse has games, books, arts & crafts and handcrafted gifts. Located at 115 Parkway Ave N, Lulu’s is a place to hang out, play games, shop and enjoy beverages. Entertainment and programs are offered different times during the year with a meeting and party space available. If you have any questions, you can give them a call at 507-518-0012. Root River Rod Co is the place to visit in Lanesboro for all your fishing needs! Root River Rod Co is a complete outfitter that carries rods, reels, lines, flies, apparel and accessories that are specific to trout fishing. They also offer a variety of classes and clinics, feel free to call 507-467-2101 and visit www.rootriverrodco.com for more information. At 107 Coffee St E, you will find The Peddler. 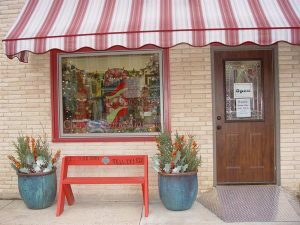 At the Peddler, you will find a curated collection of antiques, primitives, and artisan goods. Displayed throughout their historic building, they have items made both locally and globally made with an emphasis on unique, handmade, and salvaged items. They also offer occasional workshops and special events. Call 507-380-1677 for more information. 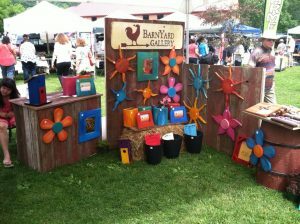 Barnyard Gallery can be found at 207 Parkway Ave N. Inspired by old barns and pieces of the past, BarnYard Gallery Productions was created in order to reclaim old objects and bring them to life in new and vibrant ways. Each piece is a one-of-kind work of art. Call 507-450-1673 for more information on their creations. The Black Crow Gallery is located at 110 Coffee Street E. This studio features decorative, functional and wearable art made by regional artists. 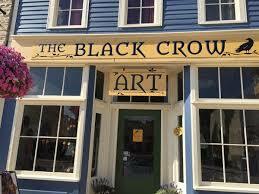 You can find consigned clothing, collectibles and other household goods at The Black Crow as well. Call 563-419-0727 for more information. Crown Trout Jewelers are experts in custom designing jewelry and work with the best that nature’s gifts have to offer! Their work is comprised of gold, sterling silver, diamonds, opals and precious gemstones. Liz is an award winning designer who specializes in Scandinavian inspired bridal crowns as well as filigree work. 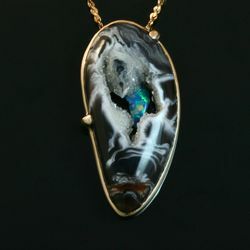 Michael’s specialties include stone cutting, inlay and custom design jewelry. Contact either Liz or Michael for more information on jewelry making classes! Located at 107 Parkway Ave N, they can be reached at 507-467-3078. 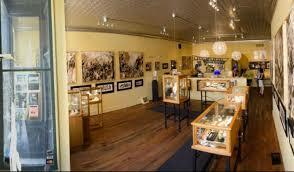 Windy Mesa Jewelry and Art has been in operation in Lanesboro, MN since 1991. 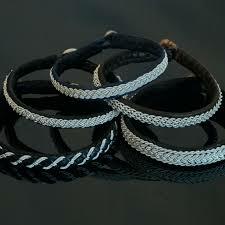 They specialize in Navajo, Zuni, and Hopi Jewelry. While there, you can also find a vast assortment of other unique items. 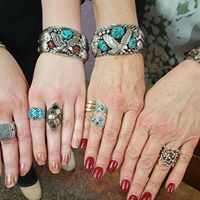 Be sure to check them out if your plans bring you to Historic Lanesboro, Minnesota and explore their wonderful Native American jewelry. Windy Mesa is located at 102 Parkway Ave N and can be reached at 507-467-2198. 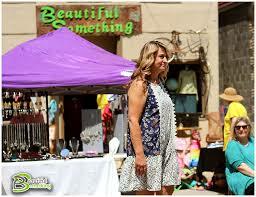 Beautiful Something is one of three clothing boutiques in Lanesboro. You will find Beautiful Something at 106 Coffee Street. Open year-round, this shop offers something for everyone. At Beautiful Something you will find unique clothing for women and children. Collectors will also find antiques here! Inventory is constantly changing, so be sure to check out the eclectic atmosphere. Check out their website at www.beautifulsomething.net and reach them at 507-923-7670. E2 Boutique is another clothing boutique located at 117 Parkway Ave N. This clothing boutique is open year-round also! Find affordable and trendy fashions for all ages. Upstairs you will find an adorable children’s section. 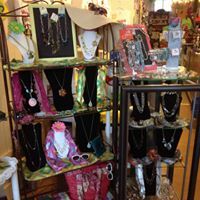 They have a wide variety of adult fashions and gifts including jewelry, accessories and shoes as well. For more information, give them a call at 507-467-2994. 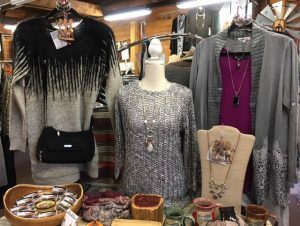 The third boutique of Lanesboro is located in the lobby of Stone Mill Hotel & Suites at 100 Beacon St E. At Stone Mill Clothing & Gifts you will visit a gift shop and discover unique clothing, jewelry, Baggallini hand bags, Amish baskets, cards and home décor! 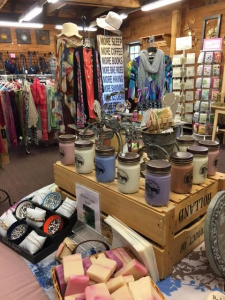 Open year round, Stone Mill Clothing & Gifts is known for carrying beautiful fashions and accessories to dress up outfits for the perfect occasion. Amish Backroads Tour CD is also available for rent at the gift shop. 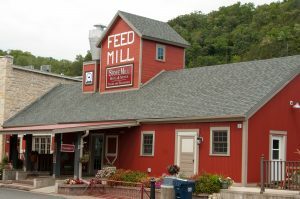 Call Stone Mill at 507-467-8663 with any questions. Visit www.stonemillsuites.com for more information on the gift shop and hotel! 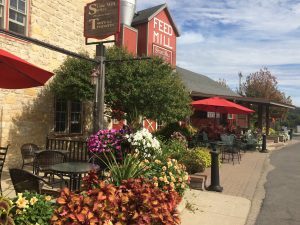 You will need a place to relax and unwind after you shop around Lanesboro! Stone Mill Hotel & Suites will be happy to do that for you. Stay at our historic inn at one of our jacuzzi suites or enjoy one of our king-sized beds. We have 13 themed rooms to accommodate anywhere from 2 to 8 guests at a time. Ask about our special packages and treat yourself to the vacation you deserve. Enjoy a beverage surrounded by beautiful flowers on our patio and a complimentary expanded continental breakfast in the morning. Reservations are filling up quickly so call 507-467-8663 to book your stay with us at Stone Mill Hotel & Suites, today! Check Availability today!